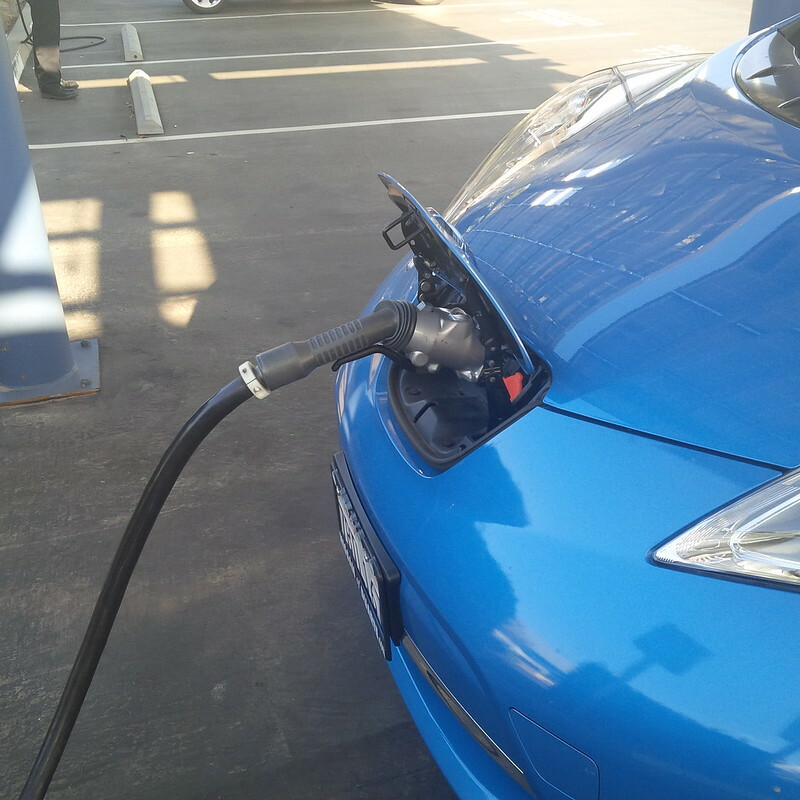 Regular readers will be stunned to see the term CHAdeMO pop up in a post on is site. After all, neither the Active E, Tesla Roadster, and, currently, the Model S have no CHAdeMO enabled. However, those aren’t the only electric vehicles in the family. 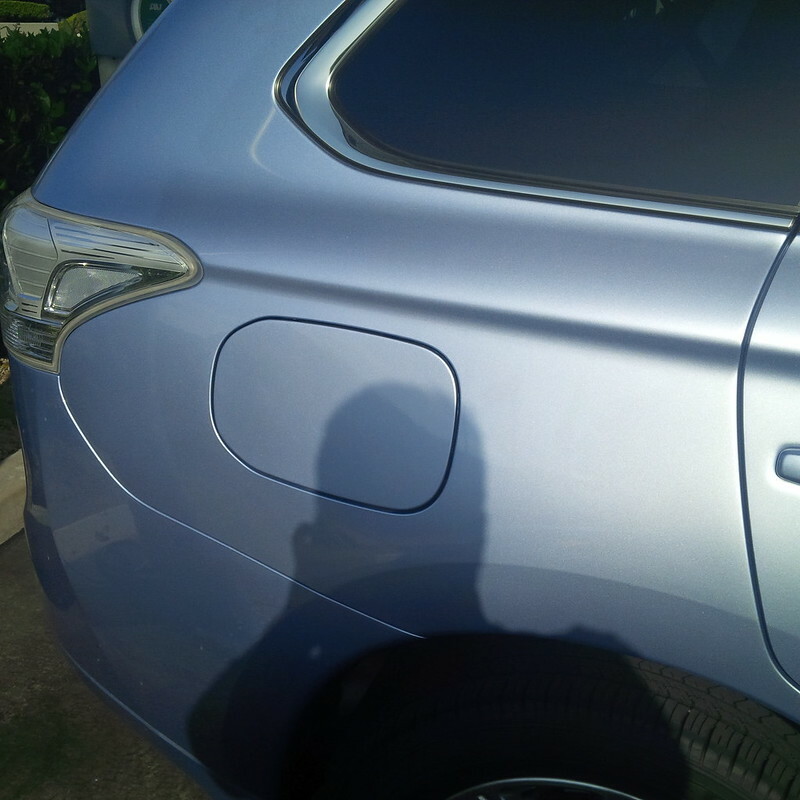 So, this past Satuday, my mom came over to visit us in her 2013 Nissan Leaf SV. Aside from Familial bonding and her visit to her favorite (son she would say, child I would say) this was a weekend of EV training and getting the information needed to see if she should go Solar at her home. Step one in any decision to go Solar is to gather your bills to get an idea of what your consuming in energy. And we’re definitely still on the first phase of her Solar journey. We’ll revisit that later. So, why has she not charged via CHAdeMO? Well, it’s because most of her driving in her Leaf has been well within the range of a J1772 outlet. She hasn’t been in a rush to get charged up. She still has her ICE minivan and is quite comfortable living with a hybrid garage. Additionally, many of the CHAdeMO stations in the LA area have converted from being free to use to a minimum of $5 usage (for the Blink Network ones). 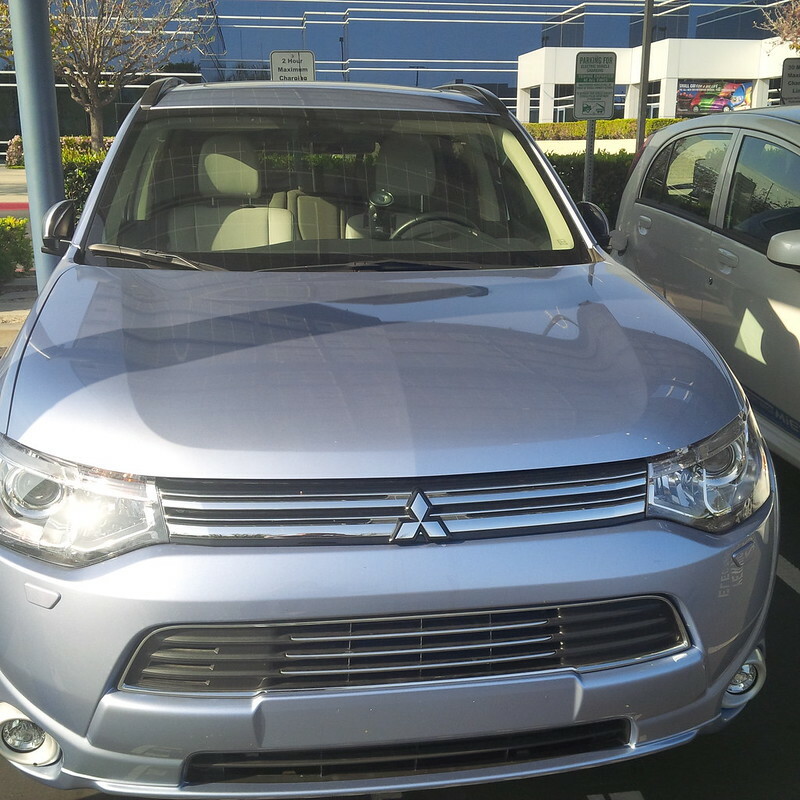 Luckily, we live near the Mitsubishi North American Headquarters and were able to train her on how to use the CHAdeMO charger there. Granted that this unit is not the most common one out there, but it served its purpose and was free to use. In order to maximize the time spent charging her Leaf. We spent the day drawing the range down until we went to use the station. This particular location usually has a wait and there was a gentleman finishing up his Leaf charge as we arrived and it provided a good amount of time to re-initiate my mom on charging etiquette and Plugshare. 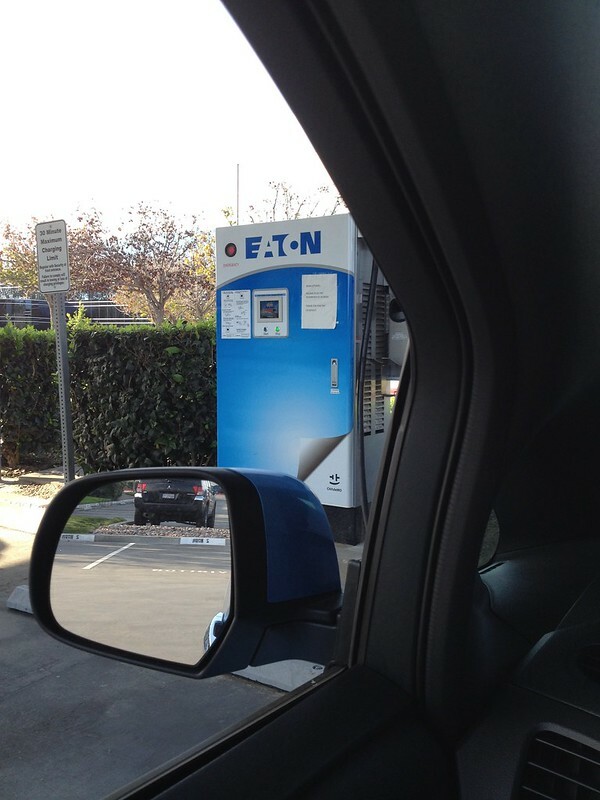 So, checked into the location and proceeded to train the use of the CHAdeMO station. This was the first time I’ve used CHAdeMO and have to say that it is rather straight-forward, however we had to make sure certain things “clicked” in place rather than the relative ease that Tesla Superchargers work. But nothing that was critically flawed. I was confused, at first, with having to pull the lever down to lock the port in place, but it was good exercise to do so and the unit was smart enough to tell me when it was properly connected. 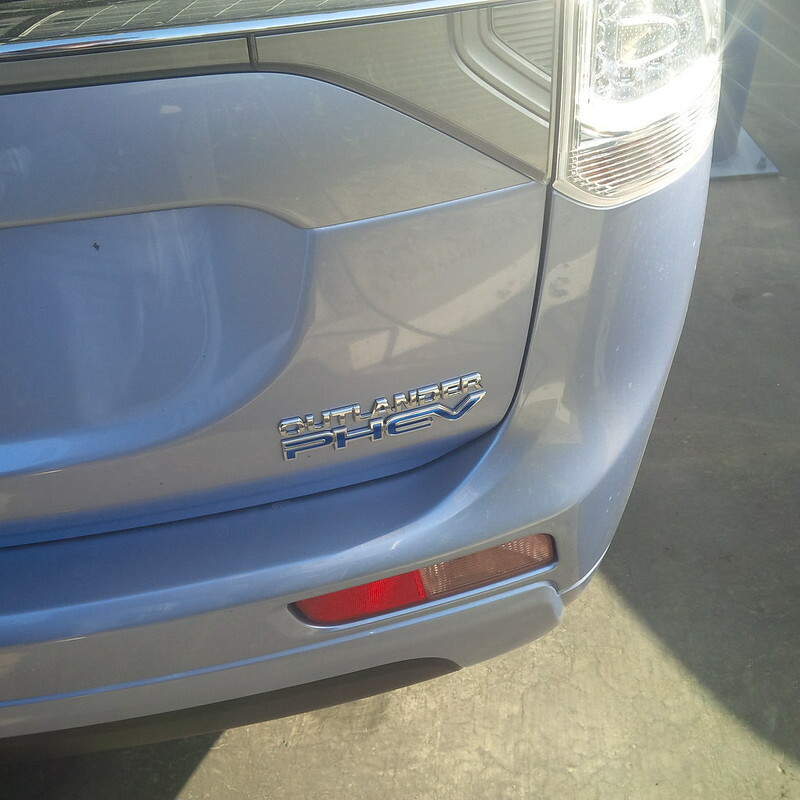 While waiting for the car to charge, I spotted the Plug-In Hybrid Mitsubishi Outlander that Nicolas Zart had written about. 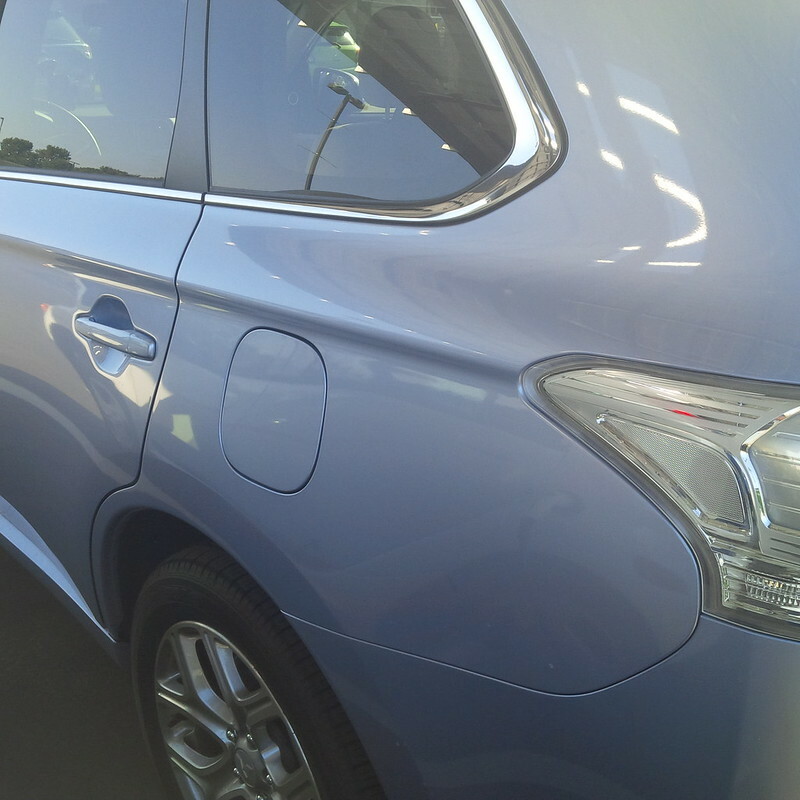 Based on the color of the one I saw at the Mitsubishi parking lot, I’m certain it is the same one. One nit about the Leaf Charging under CHAdeMO is the fact that the only indicator I have on the car that told me how long is the three blue dots on the dashboard. 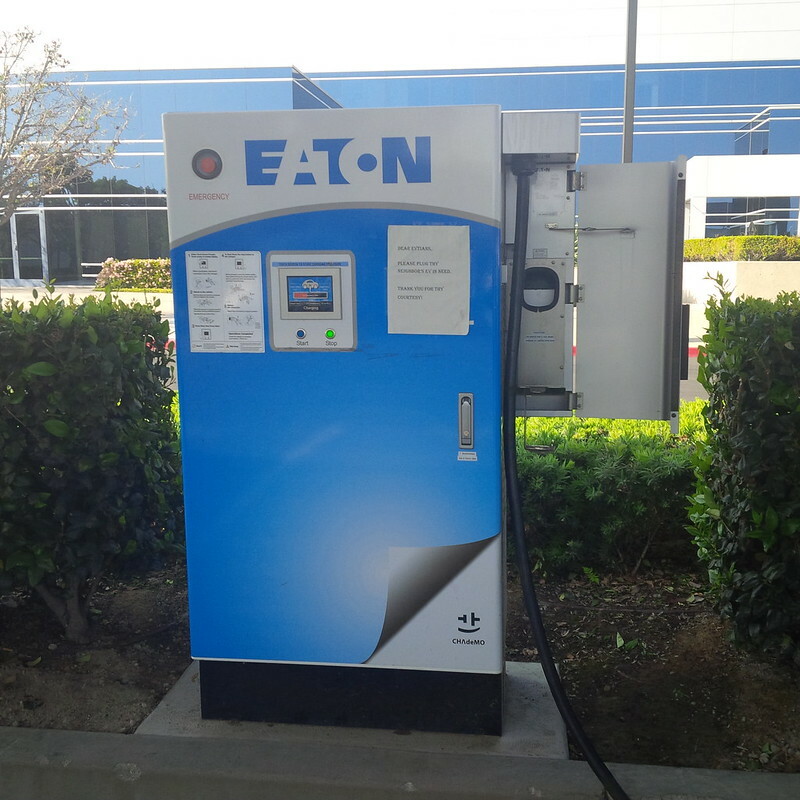 Luckily, the Eaton L3 CHAdeMO station has a screen in front that pretty much gives the user an idea of what percentage of the battery has been filled. It’s definitely not as fast as the Tesla Supercharger, but then again, nothing really is. It’s my understanding that CHAdeMO is actually going to be faster than CCS, so, why again are the other manufacturers installing a whole different standard than one that is already widely deployed? Would I have paid $5 for CHAdeMO? If I was travelling, probably, but being so close to home and having solar on the roof, it’s cheaper for me to just plug in L2. However, for the insurance it provides to have my mother with the ability to recover energy quickly, it’s definitely an option that’s been worth it. Even though it took eight months before we finally used one for her Leaf. There are many L3 EVSE units around the Atlanta area with more coming online this year. We expect to see about 20-30 more CHAdeMO (Time for Tea, Japanese meaning BTW) installed in GA before then end of 2015. Since GA is the #1 selling market for EV’s in the USA, the few L3 units we have are getting crowded more and more everyday. Previous Previous post: First Year’s Tracking of Hybrid Garage use.